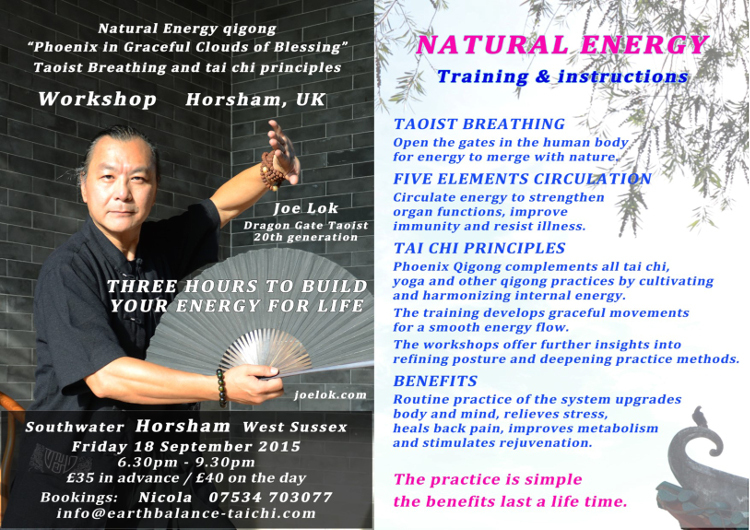 Master Joe Lok Workshop September 2015 in Southwater, Horsham, West Sussex. 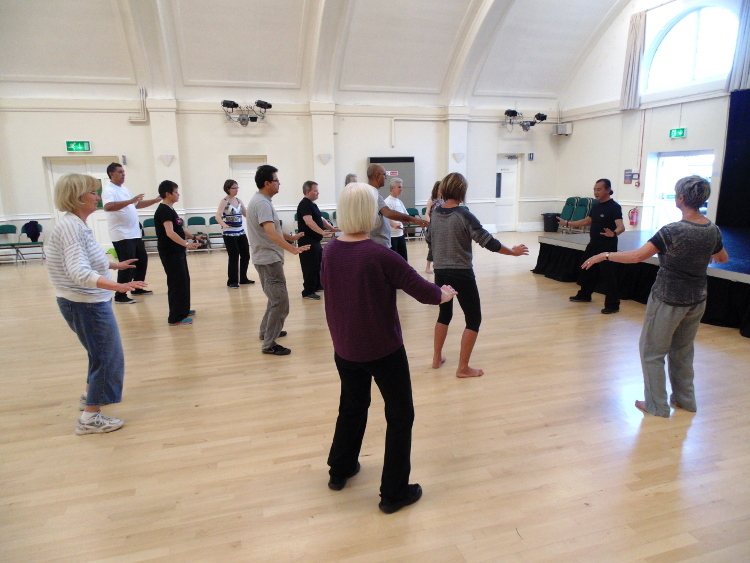 Following on from our workshops in June 2015, Master Joe Lok is returning from Hong Kong to Horsham in September 2015 to continue his teachings of the Phoenix Alchemy Qigong system. In Joe’s words; “In this workshop I will explain how energy works in the body for health benefits, go through a few movements with direct, hands-on instruction, and everyone, even beginners, will share the experience of energy flow in their own movements almost instantly. For more information on my training please refer to my web-site www.joelok.com“. Day/Time: Friday 18 September 2015 from 6.30pm – 9.30pm. Advance Booking Cost: £35 required at time of booking. Payments in cash or by bank transfer (Paypal not accepted). On the Day Cost: £40 cash only. Instructor: Master Joe Lok of the Natural Energy Academy visiting from Hong Kong. Parking: Free on site parking.